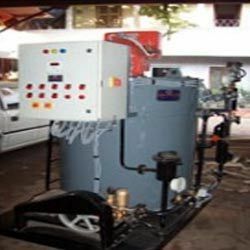 We are the Supplier & Manufacturer of Steam Boiler Machine. Our product range also comprises of Saw Machines, Dryer Machine and Veneer Clipper Machine. Our Steam Boiler Machine has been applauded by the clients for their ability to perform at par with the clients’ expectations. It is one of the hugely popular inventions of our company that is praised by clients for its efficient functioning and ability to perform hassle free operations. Our Products undergo stringent quality testing process and up gradation. All the products are light weighted and can be used with easy installation.